bell house « The Sporkful - It's not for foodies, it's for eaters. Live on stage, the famously opinionated restaurant critic takes questions from Sporkful listeners on latte foam preservation, carrot stick-to-dip ratio, and when in a meal to take the best bite. 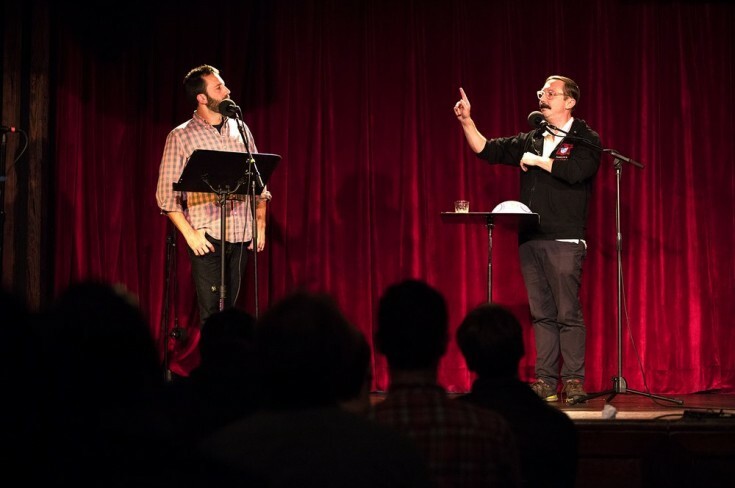 John Hodgman v. Dan Pashman: Are Hot Dogs Sandwiches? Our long-running feud comes to a head live on stage, with WNYC's Brooke Gladstone moderating. It's like a presidential debate, but with more dignity.